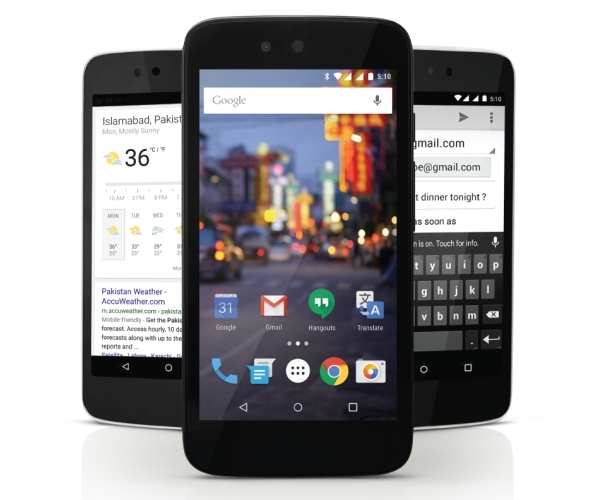 Google has launched the first Android One device in Pakistan, the QMobile A1. The phone is identical internally to the other Android One devices. It has a 1.3GHz quad-core MediaTek processor, 4.5-inch qHD resolution display, 5 megapixel rear camera, 2 megapixel front camera, 8GB internal memory, microSD card slot, 1GB RAM, dual SIM support, and 1700mAh battery. The phone also comes with Android 5.1.1 out of the box. The QMobile A1 is priced at 11,500 PKR. Weekly poll: can Android One phones replace the Nexus line? No, Qmobil A1 doesn't support OTG reader. Actually, they are in fact offered by google. Google have made the smartphone and allowed the retailers such as karbonn,qmobile to sell it. the real name is android one(Hence A1). google it!